A History of the English Language - комплект лекций профессоров Чикагского и Стенфордского университетов по истории английского языка. Это абсолютно уникальная и полная история языка от возникновения и распространения, по появления американского варианта и общемировой глобализации английского языка. Из 36 получасовых лекций Вы сможете почерпнуть не только основные знания по истории и эволюции English language, но и множество интересны, даже необычных фактов и подробностей. Помимо лекций в архиве Вы также найдете учебник к курсу. You speak English every day. But how much do you know about its long and fascinating history? 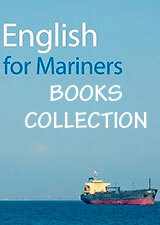 These 36 lectures are a thorough and absorbing survey of English, from its origins as a Germanic dialect to the literary and cultural achievements of its 1,500-year history to the state of American speech and global English today. 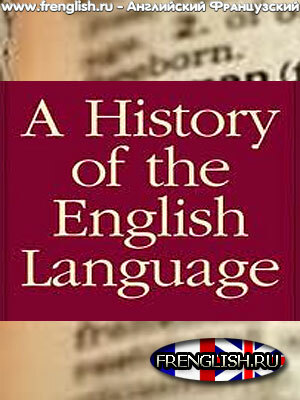 Do you know where English, the language in which you communicate each and every day, came from? Do you know how it evolved? Why we spell the way we do? Why we pronounce words the way we do? Why we use the very words we do? Much of the charm of this course is in its wealth of fascinating detail: Where do the silent "k" and "g" in "knight" come from? Why could Chaucer and Shakespeare use multiple negatives without anyone missing their meaning? Why did Isaac Newton take time out from physics to research spelling? How did a British colonial official first realize that languages spoken from Britain to India were deeply related? How do the shared roots of those "Indo-European" languages give us a window into the prehistoric past? As you trace the development of spoken and written English, you'll learn how words denote social rank, how and why dialects arise and interact, and how the Anglo-Saxons, the Norman invasion, and British colonialism each left their marks on the words we use every day. You'll learn, too, why spelling meant so much to Renaissance schoolmasters, and how Noah Webster, Frederick Douglass, Thomas Jefferson, Abraham Lincoln, H. L. Mencken, and others helped to give us our familiar American English. You'll also explore the regional American dialects that still thrive and how many of them preserve centuries-old features of British English that have long since disappeared in the British Isles. Also, you will discover how hot topics such as multiculturalism and the official status of English were first discussed in the courts of medieval English kings, and pose intriguing questions about the sort of English our children and grandchildren will speak. Hear Changing Dialects through 1,500 Years of English.